Honey is known to a good health remedy for many of the problems. When it comes to skin, we all wish to have a glowing and smooth skin. But with increasing pollution and work pressure, maintaining such type a high quality of skin is becoming tough. At times, unhealthy food habits contribute a lot to the skin related problems. After such conditions, we are forced to take help of high medications and precautions. Every day we see people spending lots of money on skin and diseases related to it like acne, pimples and tan. As one gets old, the skin becomes more problematic and they start buying random products to work on the skin. But most of the time they end up wasting their money and efforts. It is essential to understand the fact that cosmetic products are most of the times harmful to the skin. High chemical content damages the skin more than the good that it can do. Instead, you can go for natural home remedies which are quite easy to use and give glow and charm to your face. 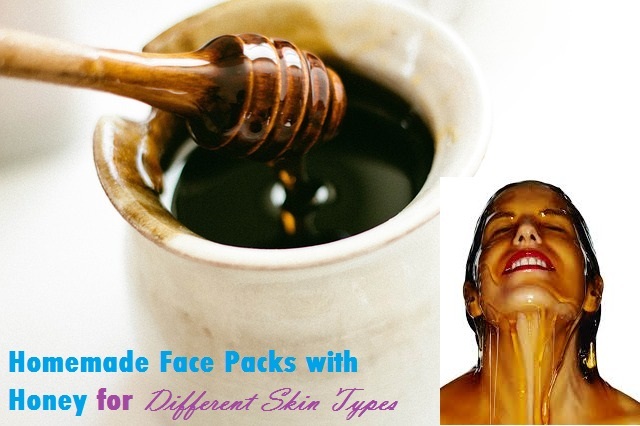 If you are keen on knowing the homemade face packs which can benefit you skin then go for honey face pack. It is safe to use without any side effect and it is easily available in market. You can trust the benefits of honey blindly as they have been known since a long time to cure problems and come up with results for complex skin problems. If you want to make a scrub using almond and lemon juice, take 1 tablespoon of honey and 2 tablespoon of finely crushed almond. Add half teaspoon of lemon juice to it. Mix well and your scrub is ready. Scrub it on your face gently and wash it with lukewarm water. You can also mix sea salt or crushed sugar with honey and use this mixture as a face scrub. People who are suffering from acnes and pimples can use honey on a regular basis to clean their skin. Wash you face with water and apply honey on your face. Use it like any other face wash. Massage it on your face slowly and keep it for few minutes. After few minutes, wash away from the face. It will act as a natural moisturizer and leaves your skin soft without any side effects. Honey can be used on the skin pure or with any other ingredient. You can leave it on your skin for any duration of time as you will never see any negative effect on your skin after applying honey. It is essential to exfoliate your skin before you apply any face pack on your skin. Washing your face with warm water is always preferred to close the pores. Honey with raw milk makes spots disappear and keeps your skin well moisturised. Face packs are very essential for the face to make it fresh and soft. Try using face packs made out of honey. Use honey as a base ingredient and add any other ingredient to it so that you get a homemade face pack. This face pack is very easy and beneficial. It helps in drying away acnes from your face. It also aids acne scars without giving any side effect to your skin. It cures existing acnes and also stops creation of new acnes on your skin. Before apply this pack, wash you face thoroughly, apply the pack and then wait for 20 minutes. Now wash your face to get a soft and supple skin. Add honey, sandalwood powder and lemon juice in equal quantities. Apply this pack on for face. Keep it for minimum 30 minutes. Later on wash it away and get a glowing skin. Oats are a great scrubber when mixed with honey. Apply it on the face and let it dry. Now damp your face with a little water to loosen up the dried face pack. Scrub it gently and exfoliate your skin. This face pack acts as a scrubber and face pack too. Fuller’s Earth and honey make a good combination. Mix it well and apply on your skin only if you have oily or normal skin. It helps in drying away pimples. Keeping it for 20 minutes is more than enough. After washing it away, don’t forget to moisturise the skin. Take chilled milk and add few drops of honey to it. Add grated cucumber to it. Apply it only your face for 10 minutes and rinse it with lukewarm water. If you want to add glow to your skin, then this face pack is perfect for you. Take honey. Pinch of turmeric and few drops of glycerine. Apply it on your face. Wash it away after keeping for 20 minutes. This will surely add charm to your skin. Moreover, it acts as an antiseptic and saves you from any form of allergic reactions. Add honey and tomato and make a paste. Apply it on your skin. Wash it after keeping for 15 minutes. This will give a glow and charm toy our skin. It bleaches your skin well and gives a cleaner skin. Blend honey and banana in equal quantities making a thick paste. Apply it on your skin gently and keep it for 15 minutes. After this, wash away with lukewarm water to reduce blemishes and add a charm to your face. You can also massage your skin using this mixture. So, use honey in your daily skin care regime to get a perfect skin within weeks. You don’t have to waste money on cosmetics as you have these remedies with you which are easy as well as beneficial.